Yuma Arizona: Crimes Statistics, Arrest and Population Information for Yuma Arizona! A medium-sized city located in the state of Arizona in the United States of America, Yuma is the eleventh biggest community in Arizona. The city has forty-three constituent neighborhoods in total. Contrary to some other cities in the country where the local economy is dominated by blue-collar and white-collar occupations, Yuma is quite the reverse. Rather, the city features a mixed and diverse workforce of both blue-collar, as well as, white-collar jobs. If you take an overall look, it is a city of professionals, office and sales workers, and service providers. You will come across many people residing in Yuma and working in management occupations (8.37 percent), sales jobs (9.02 percent), and administrative and office support (15.24 percent). The city of Yuma also has many people who are working in the armed forces. If you drive around or visit the town, it is a commonplace to come across military personnel in their or out of their uniforms as they enjoy life, become a member of the community and shop. 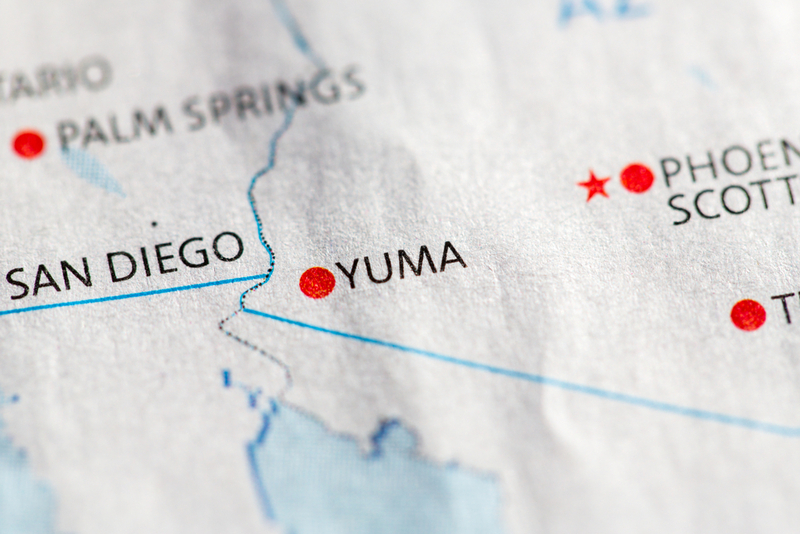 The local residents of Yuma also enjoy the good opportunity to commute shorter distances daily as opposed to the other parts of the United States of America. The residents only have to spend around 17.50 minutes on an average to get to work on each day. While people mostly use their private automobiles for their commuting trips in the city, Yuma is slightly strange looking at its size as a sizeable number of its population using public transportation. The bus is a big help for many people to commute to and from the office every morning. The use of public transport is quite useful as it reduces both air pollution, as well as, traffic congestion in the city. In Yuma, the percentage of the adult population who has received a college education is almost as good as the average of the nation and stand at 21.84 percent. About 17.23 percent of the adult population in Yuma is equipped with an advanced degree or a bachelor's degree. The city has a mix of wealthy, as well as, poor people. The city has a population with a diverse ethnical background. In fact, the people who reside in Yuma acknowledge of having an origin of various ethnic and racial groups. The main prevalent group in the city has a Latino or Hispanic origin and account for about 59 percent of the overall residents of the city. Plus, the largest number of residents in this Arizonan city claims they belong to the White race, followed by African-American or Black. Some major ancestries of Yuma’s people are French, Italian, English, and Irish. Additionally, the city has many people who were not originally born in the United States of America (21.18 percent). The possibility of being prey of either property crime or violent crime in Yuma, Arizona is 1 out of 29. According to the crime data of FBI, the city is definitely not the safest of communities in the country. As far as the state is concerned, Yuma has an 81 percent higher crime rate as compared to other towns and cities in Arizona are concerned. Out of Arizona’s 40 cities, Yuma was in the 4th position in the category of the ‘most dangerous cities’ in the state in 2016. What are the Pennsylvania child abuse laws? We review the Pennsylvania child abuse law and how to help against child abuse. Maryland City Crime Rate: Learn about the state of Maryland crime rate, from violent crimes to property crimes. Massachusetts City Crime Rate: Learn about the state of Massachusetts crime rate, from violent crimes to property crimes. What are the New Mexico child abuse laws? We review the New Mexico child abuse law and how to help against child abuse.